Peptic ulcers are open lesions that develop on the inner layer of the stomach, esophagus or duodenum after coming in contact with acid or the stomach enzyme, pepsin. Ulcers in the first part of the duodenum (beginning portion of the small intestine) are the most common. The less common sites are those in the stomach and lower esophagus. It is a condition commonly associated with gastritis. 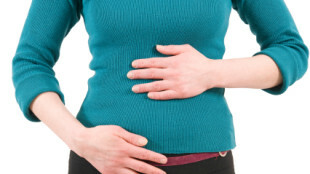 Abdominal pain and discomfort (most common symptom). Nausea and sometimes even vomiting. The onset of symptoms is gradual. The site of pain is usually in the upper abdomen but can even extend up to or below the umbilicus. The pain occurs usually at the same time of the day usually when the stomach is empty before a meal or a few hours after a meal. The duration of pain is for a few hours or till the time of next meal. During the night since the stomach is empty and gastric acid secretion increases, the pain may worsen. Bleeding of the ulcers may occur thereby presenting in the vomit or stool. Although the upper gastrointestinal tract has various mechanisms to withstand and neutralize the strong stomach acid and enzymes, these mechanisms may sometimes fail or be insufficient. The acid and enzymes then erode the inner lining. Increased secretion of hydrochloric acid and pepsin like with Zollinger-Ellison syndrome. Medication like NSAIDs and corticosteroids. Hereditary factors have a role since prevalence is higher in relatives of patients than in general population. Cigarette smoking, spicy foods and stimulants like caffeine in tea and coffee tend to aggravate the problem but not usually cause it alone. The treatment of peptic ulcer disease involves a combination of lifestyle measures, medication and in rare cases it may even require surgical intervention. Discontinue alcohol use and cigarette smoking. Limit the intake of caffeinated drinks. Medication that may be causing the condition should be changed or stopped. Medication aims to reduce stomach acid production. However, other drugs may be utilized for pain relief and to eradicate H.pylori infections. Antacids relieve peptic discomfort by neutralizing gastric acid. Aluminum hydroxide and magnesium hydroxide combination is used and is usually more effective if administered about 3 hours after meals when the stomach is empty. H2 -antagonists and proton pump inhibitors such as ranitidine, famotidine and omeprazole block acid secretion. Other drugs such as sucralfate andl bismuth compounds form a protective layer around the ulcers and prevent damage and promote healing. H. pylori infection is treated with antibiotics such as amoxicillin and metronidazole. Surgery is rarely needed for peptic ulcer disease (PUD). It is reserved for cases of persistent or recurrent ulcers that do respond to medication. 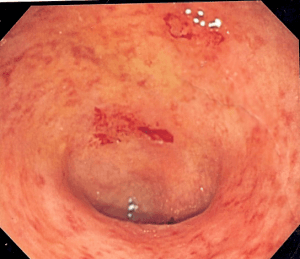 More importantly though, surgical intervention is immediately necessary for perforated ulcers. The gastrointestinal contents with a perforation can empty into the abdominal cavity, leading to severe complications and even death.